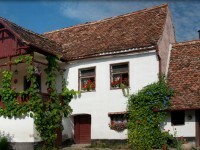 Ideal starting point close to the famous Saxon churches of Viscri and Saschiz, you will find the quietude of old-style rooms and the flavor of slowly cooked food on traditional wooden stoves. 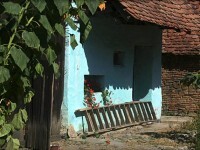 A typical, intimate house, carefully restorated while keeping the authenticity, and offering charming accommodation. 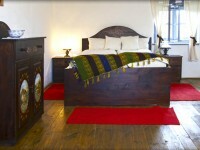 Each room is furnished with solid, painted wood pieces. You will discover the charm of old rooms heated by tile stoves or of the lime painting of the walls. The private bathrooms are equipped with all the modern necessities. You will enjoy our breakfast with buffalo yogurt, country row honey, organic eggs and our homemade berry jams and preserves. 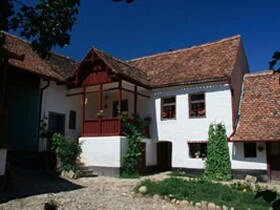 And you will love the reach and flavored lunches and dinners in Transylvanian style, accompanied by local tzuica and good wines. Historical attractions: the church of Crit with the ancient fortifications, the churches of Viscri (the oldest Saxon fortified church of Transilvania, excellent restorated) and Saschiz, both UNESCO monuments, the medieval town of Sighisoara. Country life attractions: Romanian wine tasting, organized bee watching, guided tracking, visits to the charcoal maker, to the shepherd or to the blacksmith workshop.Other options: fine dinners and court yard dining, wine tasting, wildlife watching, carriage or sleigh rides.